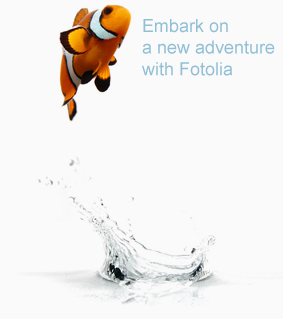 Fotolia is a leading stock photography agency with a strong international presence. Through the use of bleeding-edge technologies and perpetual innovation, Fotolia has become a worldwide standard for affordable royalty free images. Fotolia's flexible structure and innovative leadership style allows us to be nimble in markets where competition is fierce. Fotolia.com is available in 23 countries, and new languages are being added on a regular basis. Fotolia’s employees bring a vast mix of culture and languages to the table – and we collaborate on a regular basis in one common language – English. Our employees are passionate about communications and design, understand how to use the latest technologies, and have an undying entrepreneurial spirit. Your motto is: acquisition, upsell & retention. You will be responsible for developing and executing bold creative marketing programs and campaigns to drive qualified traffic to the website. You will measure and analyze the performance of onsite, email, and affiliation programs. Candidates should be strong writers, effective communicators, and adept at learning new tools and systems. Our environment is fast-paced and requires someone who is flexible, detail-oriented, and comfortable working effectively in a deadline-driven work environment. Develop and implement online marketing strategies with focus on high growth in revenue and ROI in marketing costs. Personality: Self-driven, results-oriented with a positive outlook, and a clear focus on high quality and business profit. A natural forward planner who critically assesses own performance. Very creative and innovative mind. Empathic communicator, able to see things from the other person's point of view. Keen for new experience, responsibility and accountability. Able to get on with others and be a team-player. Passion for web-technology, advertising, online media, social media and product development. Today, Fotolia has over 4 million professionals looking to the site for the latest in high-resolution stock photos, graphics, illustrations and videos. Over 24 million royalty-free images are accessible from $0.75 with an unbeatable commitment to quality and affordability. Fotolia proudly offers service in 14 languages and is represented in 23 countries and regions worldwide. If you are interested, please send your CV to benoit+hire@fotolia.com. Are you a SEM pro with about 2 years of experience? Do you speak fluently English and/or German? Fotolia is the next step in your career. Fotolia.com - a globally ranked, top 500 e-commerce site, is looking for a SEM Specialist to assist the Global SEM manager to implement and manage our activities in our most important countries. The ideal candidate will have strong analytical skills supported by profiency in excel and web analytics/ web tracking tools. Excellent written and verbal skills in English or German is required. Be proactive and work closely with the SEM manager, sharing best practices and new opportunities of development. Bachelor's Degree required, Master Degree preferred, with mix of marketing/ analytical subjects. Very strong analytical skills with ability to drive meaningful actions from large data sets. Multi-tasking, ability to set priorities, exceptional organizational skills, attention to detail. Please send an email with your CV at laura.debuire+jobsem [at] fotolia.com and let’s discuss! Fotolia is a leader in the global stock image market. With a commitment to quality and affordability, Fotolia’s influence has rapidly gone global since the company’s 2004 inception. Fotolia revolutionized the industry in 2007 by launching the Infinite Collection and becoming the first microstock organization to challenge the other major players of the traditional stock photography industry. Today, over 4 million professionals looking to Fotolia.com for the latest in high-resolution stock photos, graphics, illustrations and videos. Over 24,000,000 royalty-free images are accessible with an unbeatable commitment to quality and affordability. Images start on Fotolia at $0.75 USD, and contributors have the potential to earn some of the highest commissions in the business. Fotolia proudly offers service in 14 languages and is represented in 23 countries and regions worldwide.